Do you love cheese and wine? Of course you do! We're very excited to announce our next Private Kitchen Night on April 8th, a 5-course cheese tasting paired with 5 perfectly crafted wines from our friends at Fullerton Wines in the Willamette Valley. Steve Jones, owner of Portland's Chizu and Cheese Bar eateries, and the winemaker will present each pairing and discuss why they chose to enjoy them together. 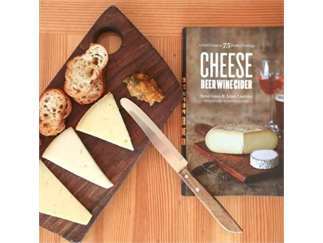 Signed copies of Steve's book, “Cheese Beer Wine Cider – A Field Guide to 75 Perfect Pairings” will also be available. Don't miss this unique chance to explore the world of wine and cheese with these crafted professionals!